PRICE REDUCED! Welcome to College Park! Known for it's historic lakes, shops, & trendy restaurants! Also just minutes to Downtown Orlando! This gorgeous College Park home has 4 beds, 4 full baths, & a spacious backyard that will easily fit a pool!! The moment you arrive youll be impressed by the meticulously maintained landscaping & stately architectural accents. 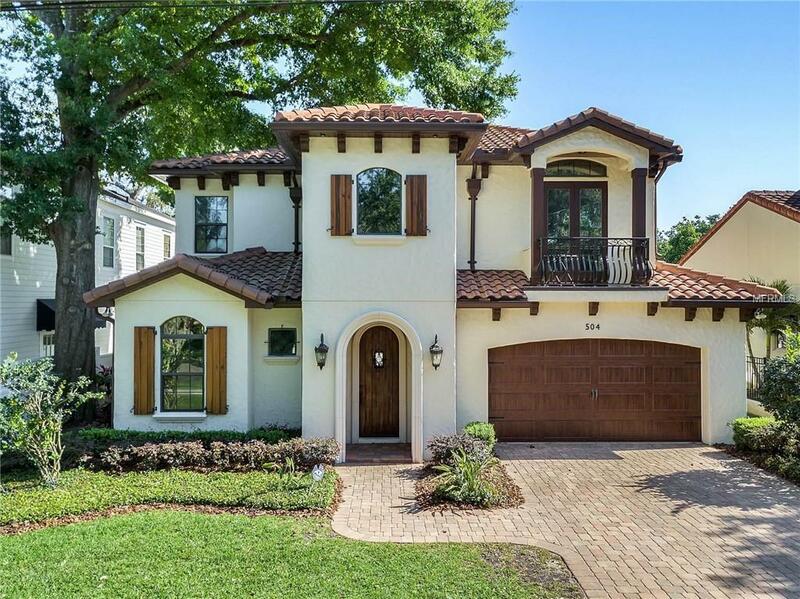 The arched solid wood front door leads to the foyer with high ceilings, crown molding, travertine flooring & 5.25 baseboards, flowing naturally into a bright, inviting & open living area. The gourmet kitchen is a chefs dream with beautiful beveled granite countertops, Viking stainless steel appliances, gas range, 42" cabinets, large cooking island w/ beautiful pendant lighting. The breakfast nook has bay windows overlooking the fully fenced backyard. Open the triple slider pocket doors for seamless outdoor/indoor living. The travertine floors continue out the lanai, with tongue & groove ceiling, fully screened for year round comfort. Oversized first floor master suite with wood floors, tray ceiling & slider to your own backyard patio. The master bath features soaking tub, dual sink vanity & frameless glass enclosed shower w/ multiple headscreating a spa like setting. The second story has an oversized loft, perfect for a home office or a second living room - along with two generous sized bedrooms each with their own bathrooms! Located in College Park - close to shopping, dining & everything that College Park & Downtown Orlando has to offer! Additional Lease Restrictions Buyers To Check Hoa On All Restrictions. Pet Restrictions Buyers To Check Hoa On All Restrictions.